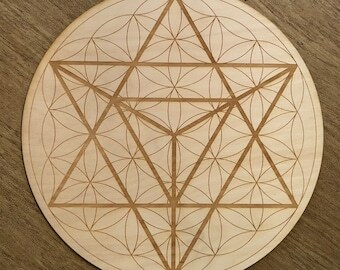 This is a Flower of Life Serpent crystal grid made out of Birch wood. These are made to order, you can choose between approximately 3, 6, 9 and 12 inches in diameter and 1/4" thick. This is just for the grid, stones much be purchased separately. 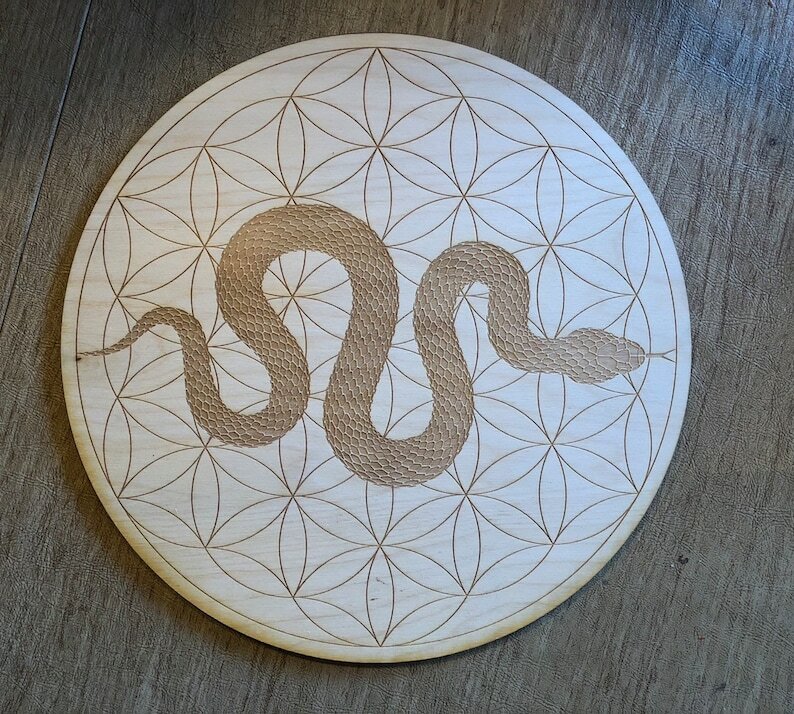 The snake meaning is powerfully connected to life force and primal energy. In many cultures, it is revered as a powerful totem representing the source of life. When the snake spirit animal appears in your life, it likely means that healing opportunities, change, important transitions, and increased energy are manifesting.